Motion sickness or kinetosis also known as travel sickness, is a condition in which a disagreement exists between visually perceived movement and the sense of movement. Depending on the cause, it can also be referred to as sea sickness car sickness, simulation sickness or air sickness. Nausea, vomitting and fatigue are the most common symptoms of motion sickness. Sopite syndrome in which a person feels fatigue or tiredness is also associated with motion sickness. If the motion causing nausea is not resolved, the sufferer will usually vomit. Unlike ordinary sickness, vomiting in motion sickness tends not to relieve the nausea. A symptom (lakshan) Chardi, Amlak is involved in motio sickness which is due to increased vata and pitta dosha as per ayurvedic principles. In Ayurveda various medicines are mentioned like Amalki, Nimbu, Adraka etc. These herbs used in different forms like amla candy, amla supari, ale pak have show good result in motionsickness. 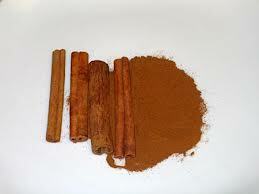 But still a spice named Dalchini, Twak (Cinnamon) is of great use in any sort of motion sickness. Cinnamon medicated water : Prepare 1 litre of warm water and 5 grams of dalchini powder solution in any clean utensil, rinse it for about 2 hrs filter it and store in any clean bottle .Those having regular habit of motion sickness ,start having sips of above mentioned medicated water 1 hour before commencing the journey as well as during travel. Cinnamon (Dalchini twak powder) suppresses vata(Udan ,vyan) and pitta (pachak)dosha leading to nausea, vomiting, headache during travel by any vehicle.This medication is highly effective in all age groups, priceless (cost friendly), without any sideeffects like drowsiness, nausea etc.